It was in September of last year, and the year before, that E.L.F. 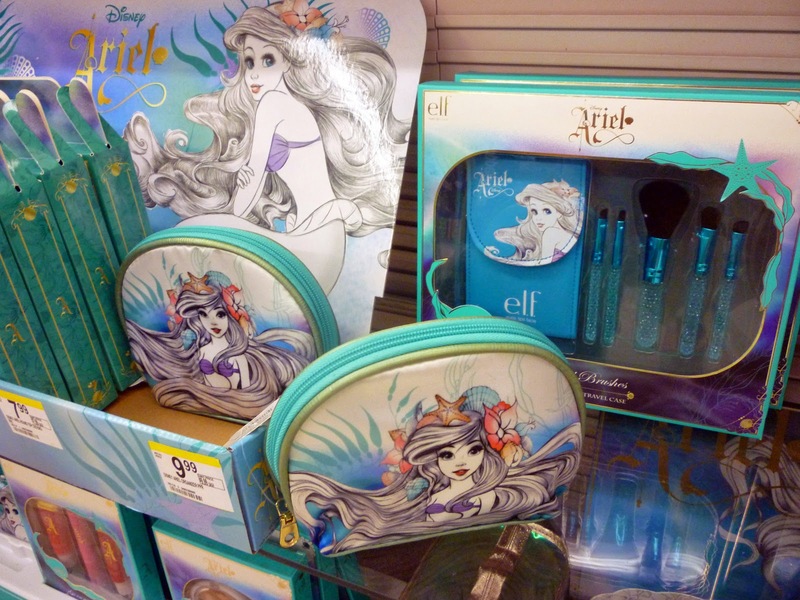 Cosmetics released a couple of Disney makeup series at Walgreens. 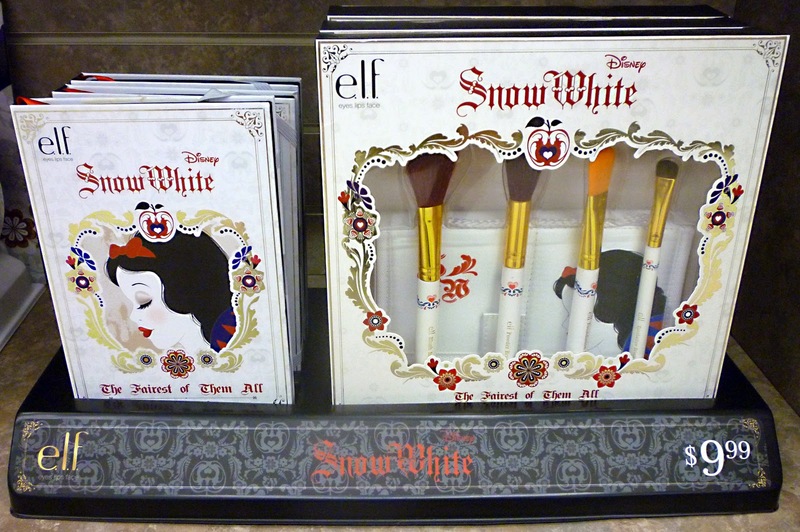 Both collections had a villains theme which included the Evil Queen. (See the posts from 2012 and 2013.) 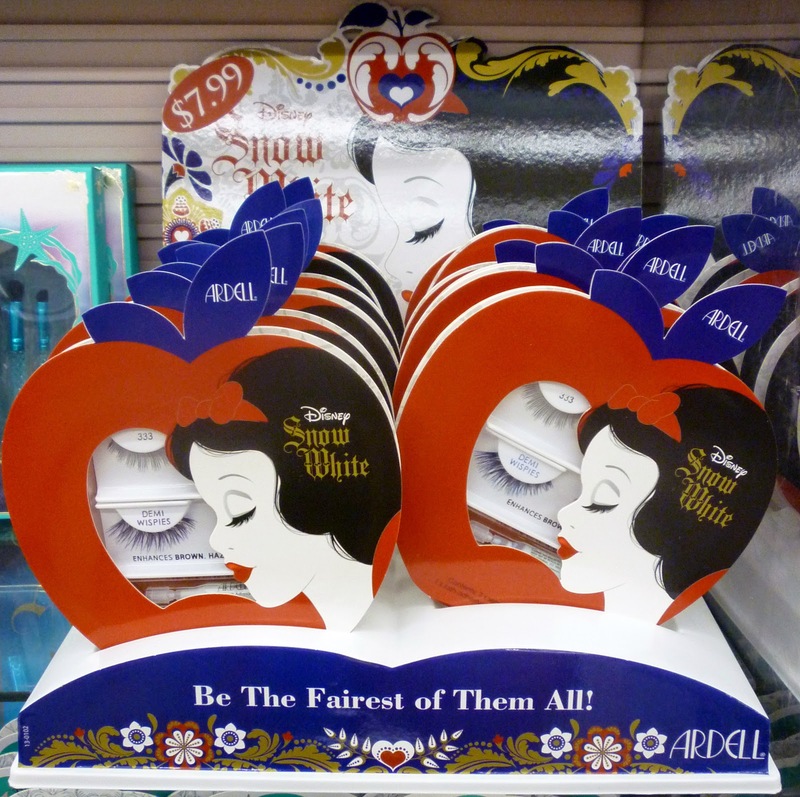 This year, however, they changed things up a bit by issuing an Ariel series in June, followed by Snow White in July. E.L.F. 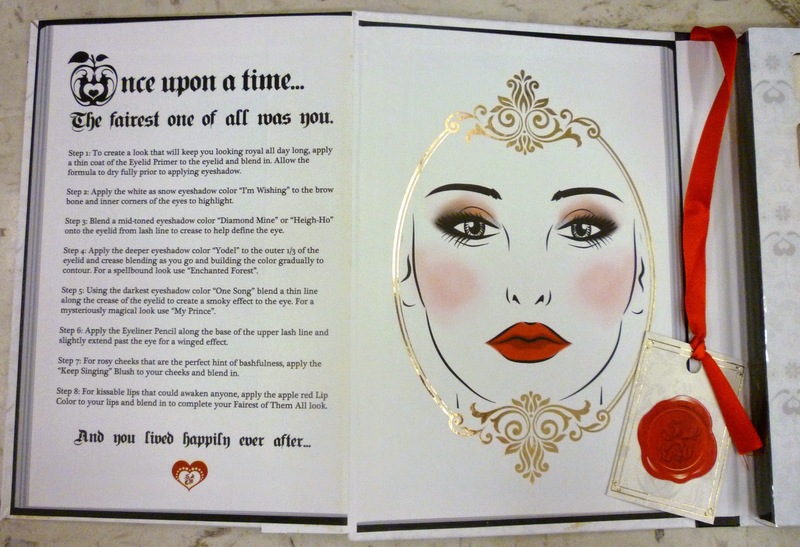 Snow White Beauty Book. 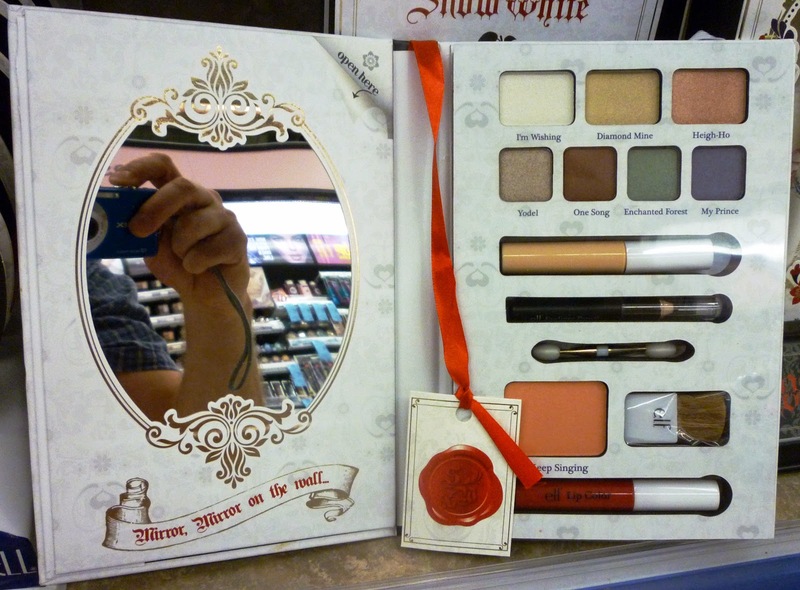 Inside is a mirror and the makeup palette. The left flap opens up to the eight-step process of becoming the fairest one of all. 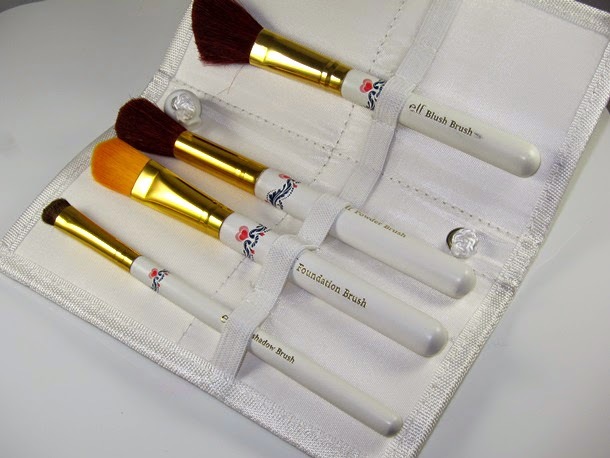 The Beauty Book was on display along with the Brush Collection. Each $9.99. 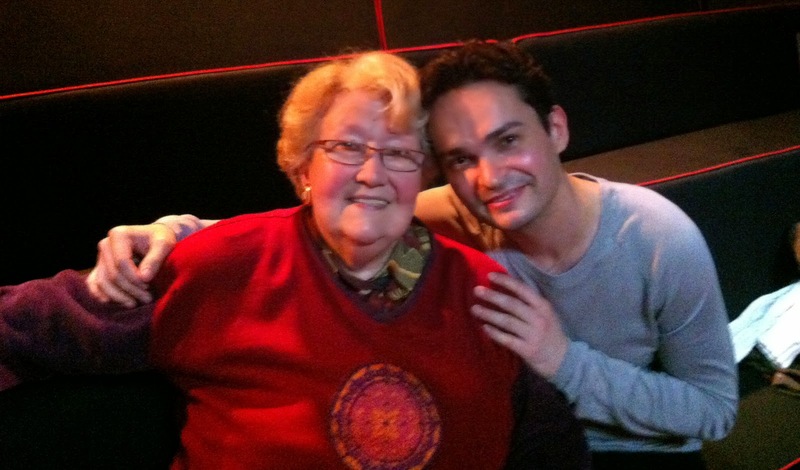 Additional case pics via Musings of a Muse. E.L.F. Lip Collection, Eye Collection, Face Collection. $4.99 each. Also available were lashes by Ardell. $7.99. Some of the pieces from the 2014 Ariel collection. 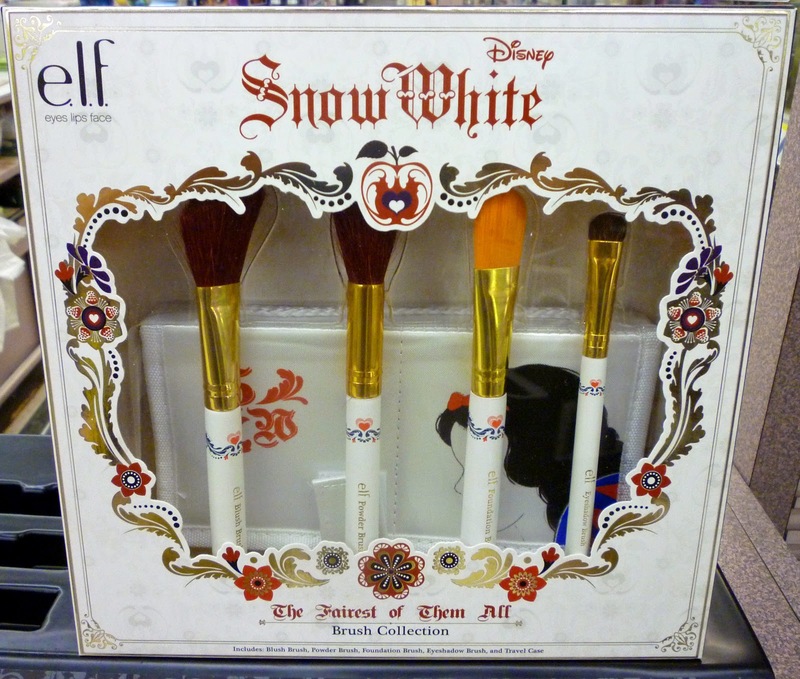 Special thanks to Elana Sperber for the notice about this Snow White collection. 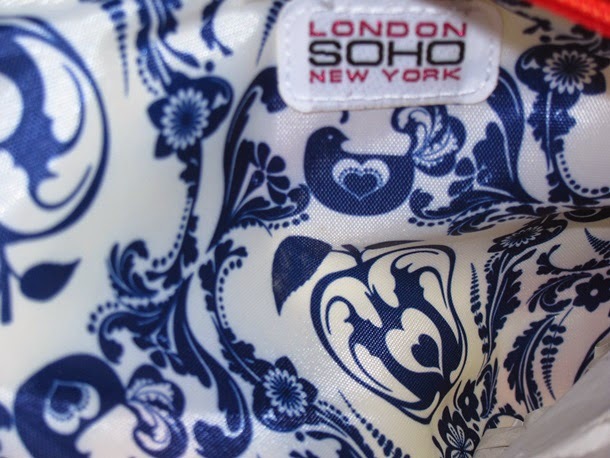 Also see the 2014 SOHO cosmetic bags in previous post. An E.L.F. 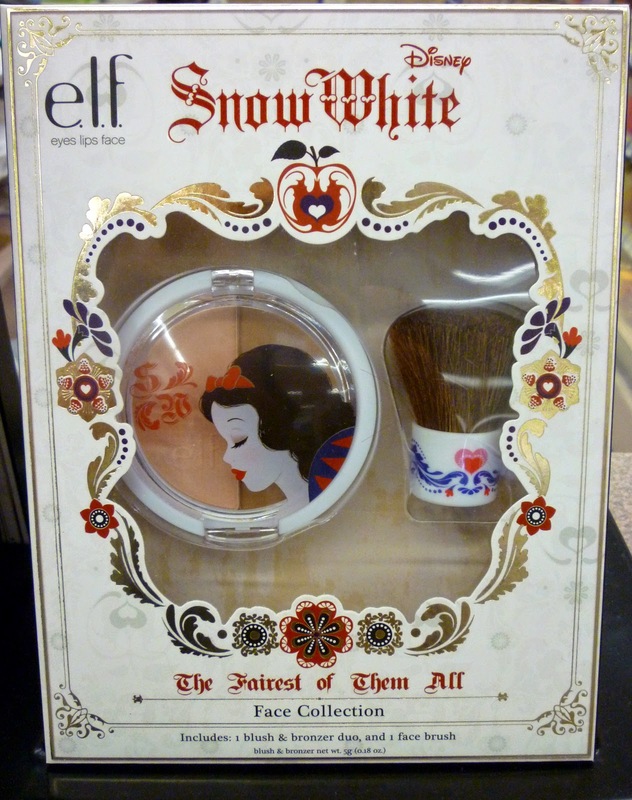 Snow White makeup collection was released this July at Walgreens. 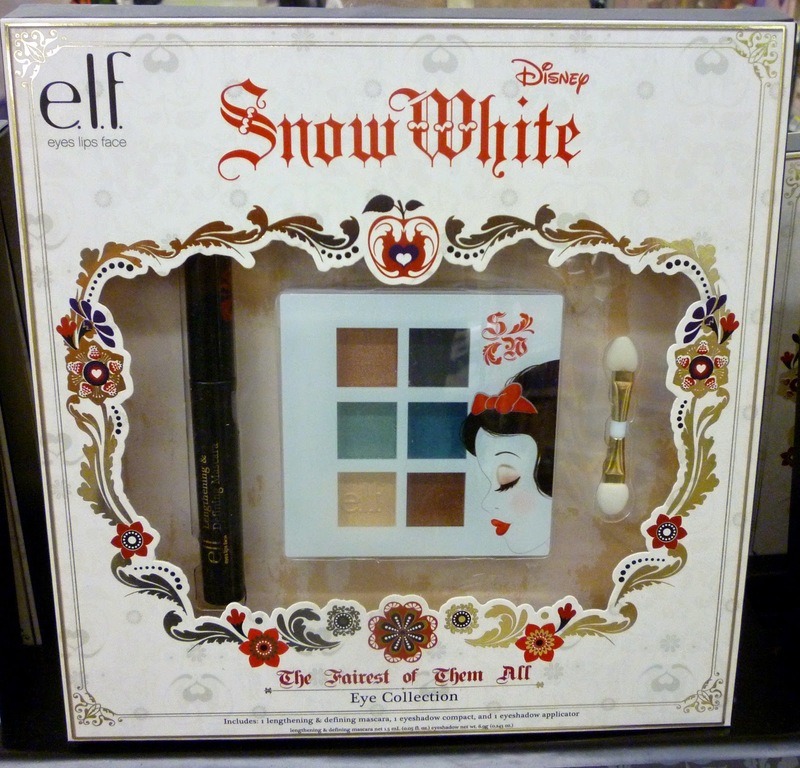 It appears to be available only at select stores, but some pieces are also online. 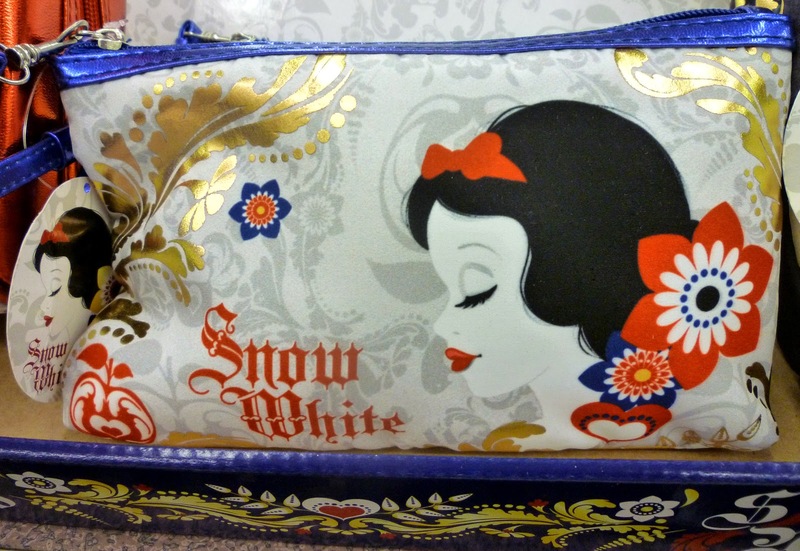 Among the accompanying accessories are these brightly colored cosmetic bags by SOHO. Four different examples to choose from. 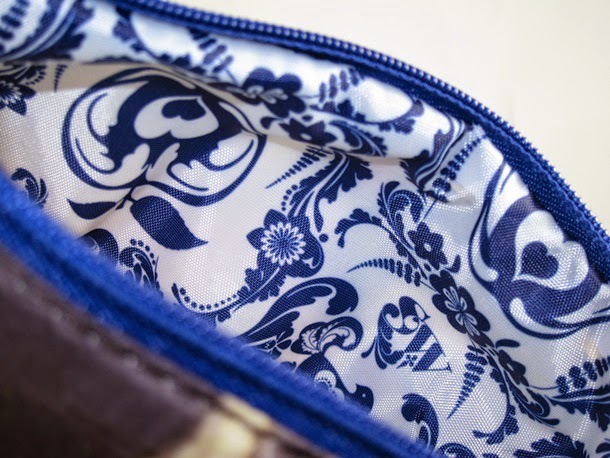 The inner print pattern is the same in each. Inner print pics via Musings of a Muse. 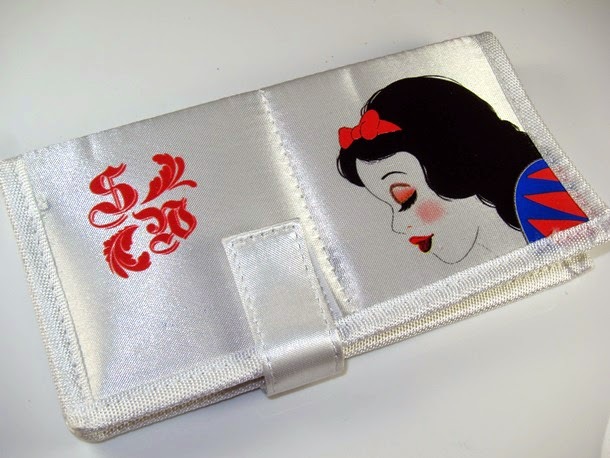 Wristlet "Flower" (8.25" x 5"), $7.99. 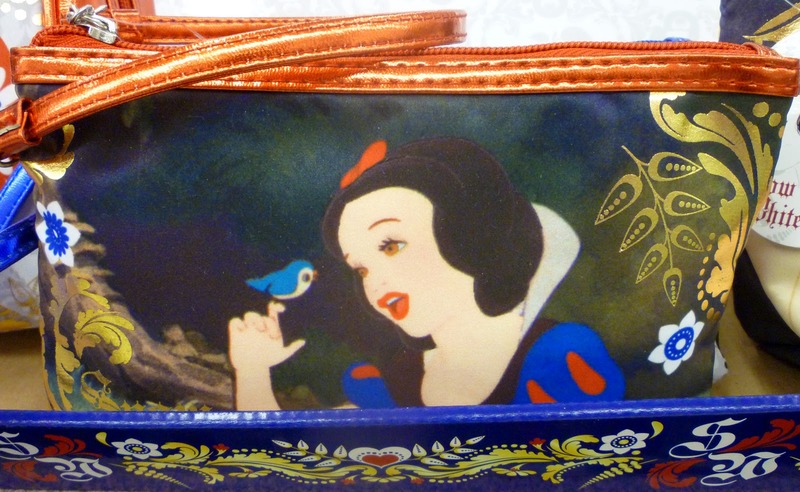 Wristlet "Bird" (8.25" x 5"), $7.99. Clutch (9.25" x 5.75" x 3.5"), $9.99. Weekender (9.25" x 6.75" x 3.75"), $11.99. 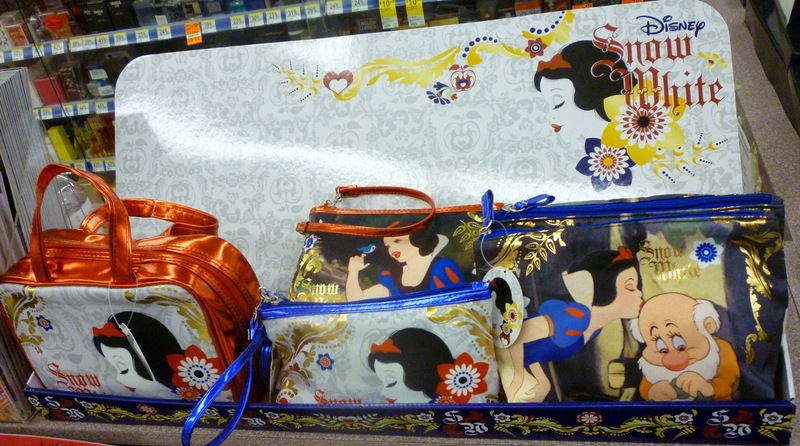 In a earlier Archive entry, see the 2013 Walgreens Villain collection which included several SOHO bags too. 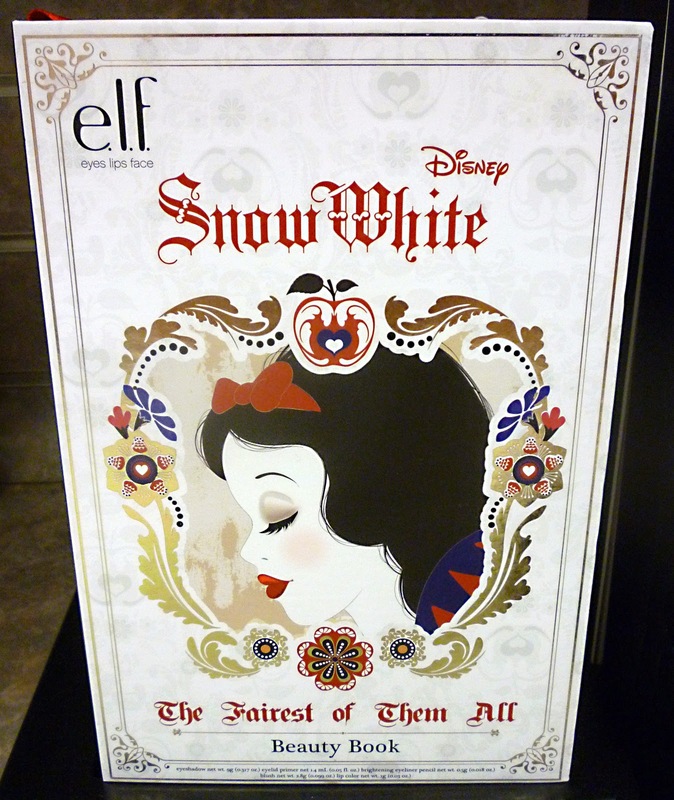 Plus check out this year's Snow White E.L.F. cosmetics in the next post. Special thanks to Elana Sperber for letting us know about this release. 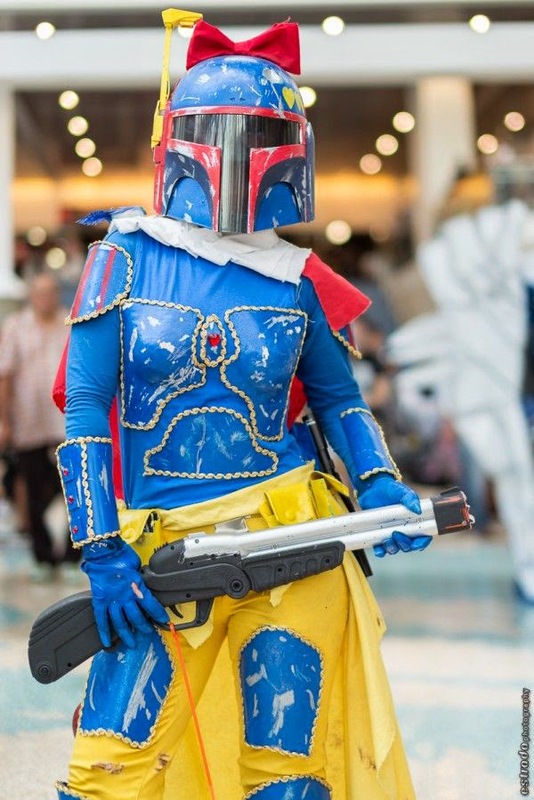 Australian online retailer, Black Milk Clothing, is known for geek-inspired fashions, such as their Harry Potter and superhero designs. 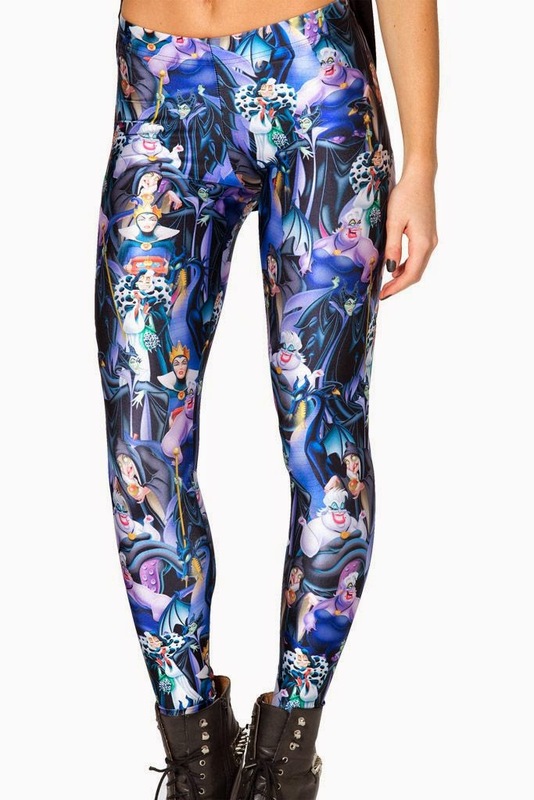 Yesterday, July 29th, they released a brand new Disney line called Princesses and Villains--tops, leggings, skater dresses, and body suits. 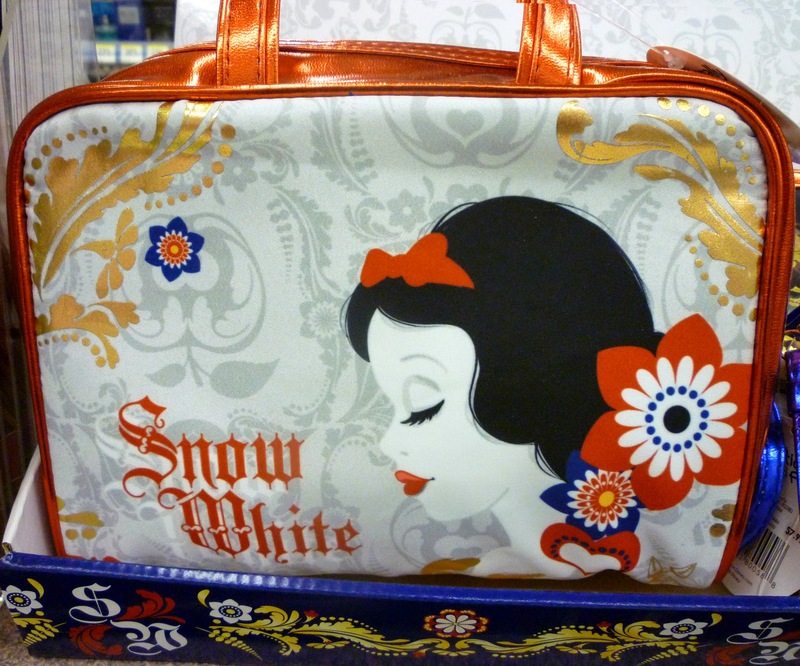 The collection will include several cool Snow White pieces. Peplum Skirt and Puff Sleeve Bodysuit. 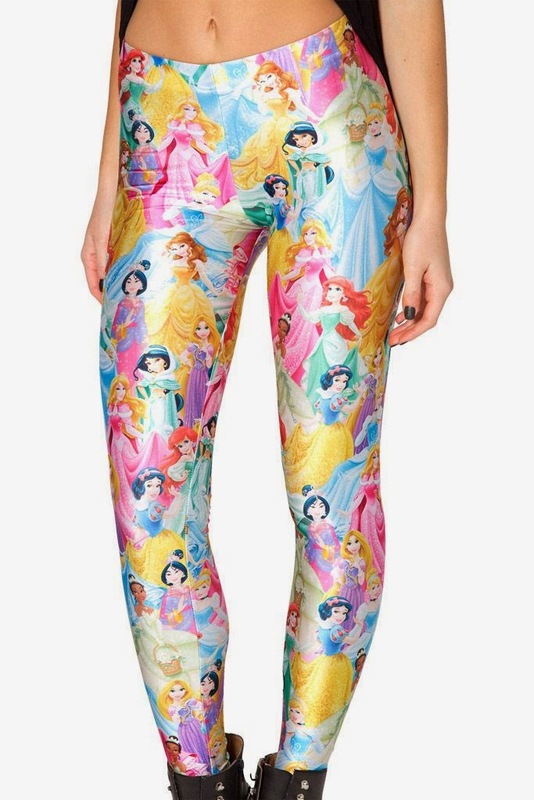 Learn more at Black Milk's pinterest. 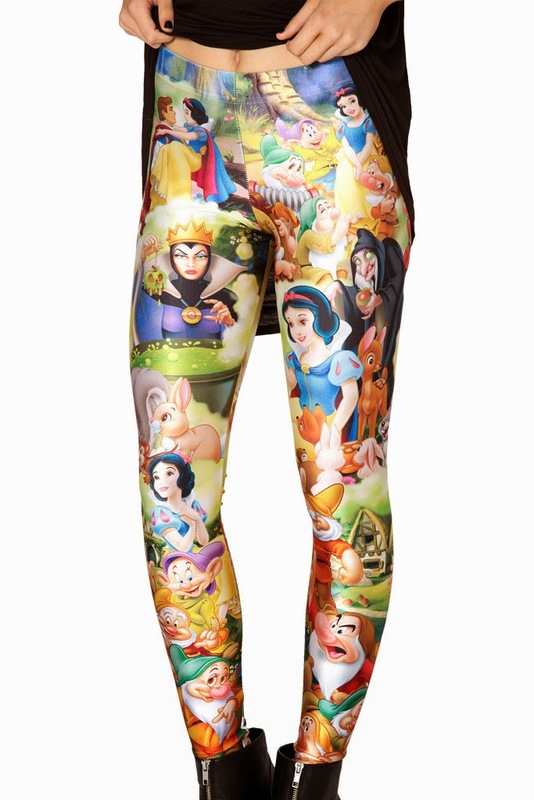 Stock image copyright Black Milk Clothing. Special thanks to Elana Sperber for the notice about this clothing release. 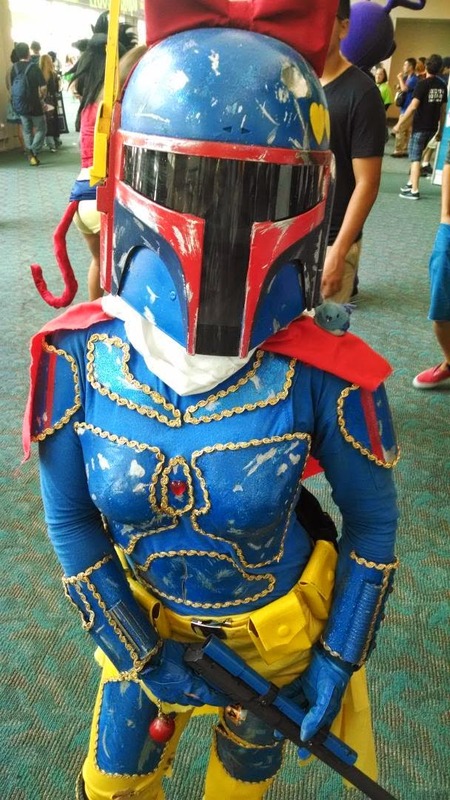 At this year's San Diego Comic Con (which ran July 24-27, 2014), a super cool cosplay mashup was spotted. 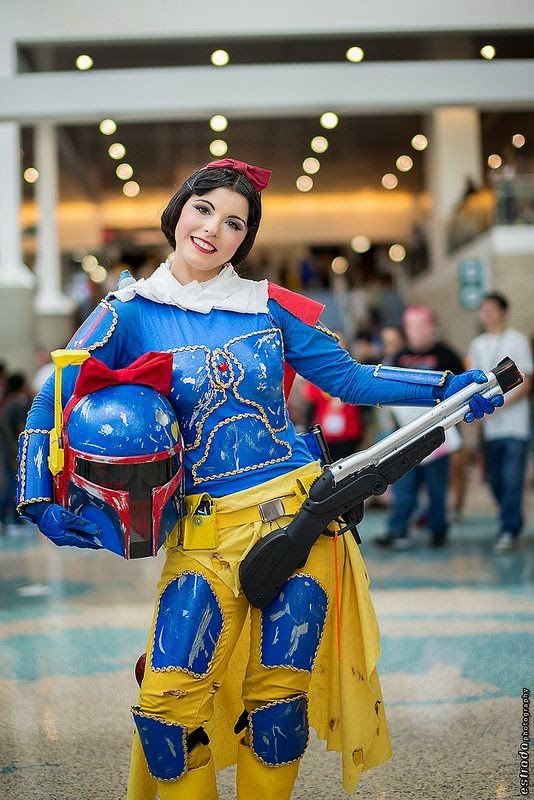 Snow White and Boba Fett = Snowba Fett. The costume, which was designed by artist Amber Arden, even had a red bow and a song bird. Images via Disney Insider and Estrada Photography. Special thanks to Ron Miles for the notice on this one. 1938. RKO. Folded Moyenne style, 60 x 80 cm / 23" x 32" (similar in size to a US half sheet). Printed by Bedos & Cie, Paris. 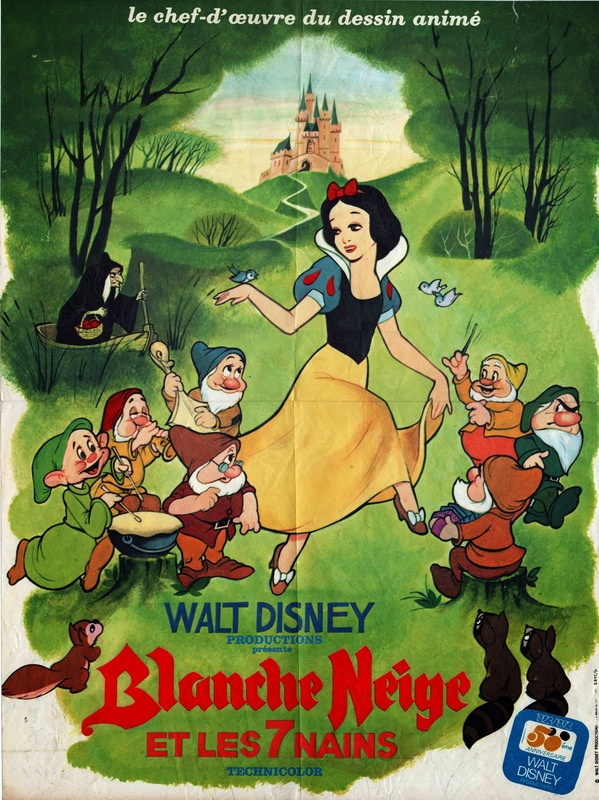 Some of the French movie posters used during the 1938 release were reissued for the 1945 and 1951 campaigns too. 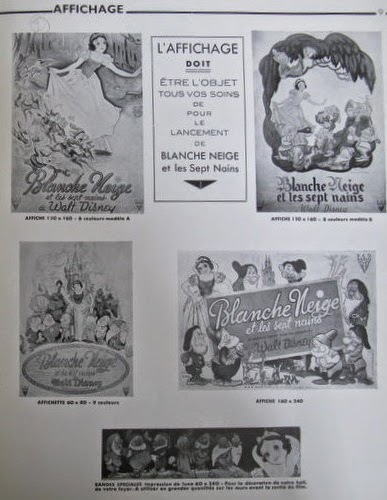 A display page in the 1938 pressbook shows the main designs. 1938. RKO. Folded Grande style, 120 x 160 cm / 47" x 63" (similar in size to the US 40x60). 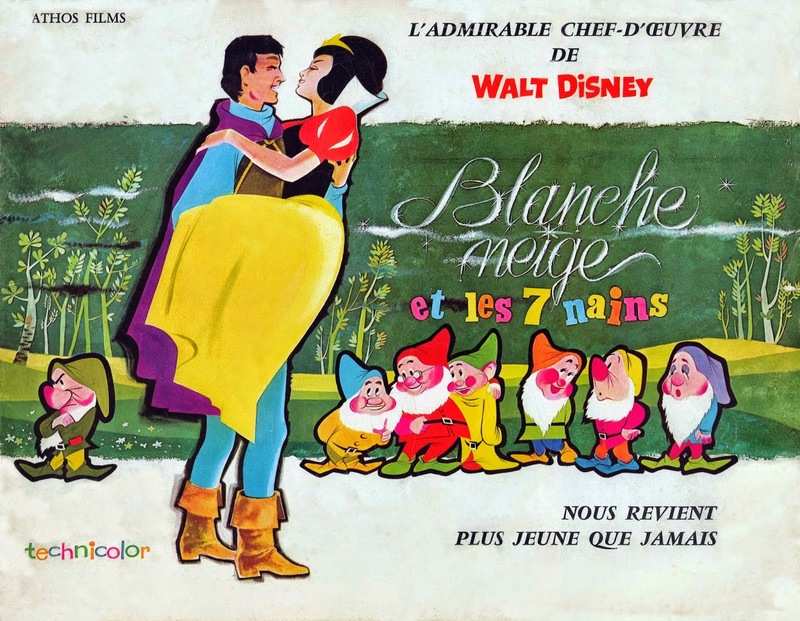 Design by Jacques Bonneaud. 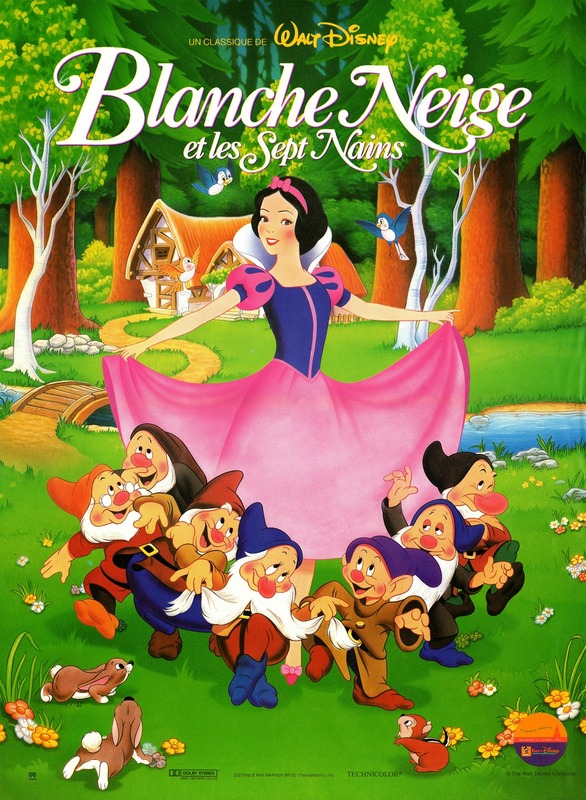 Snow White is depicted in a pink dress, long before the 1992 re-release poster. 1938. RKO. Folded Grande style, 120 x 160 cm / 47" x 63". 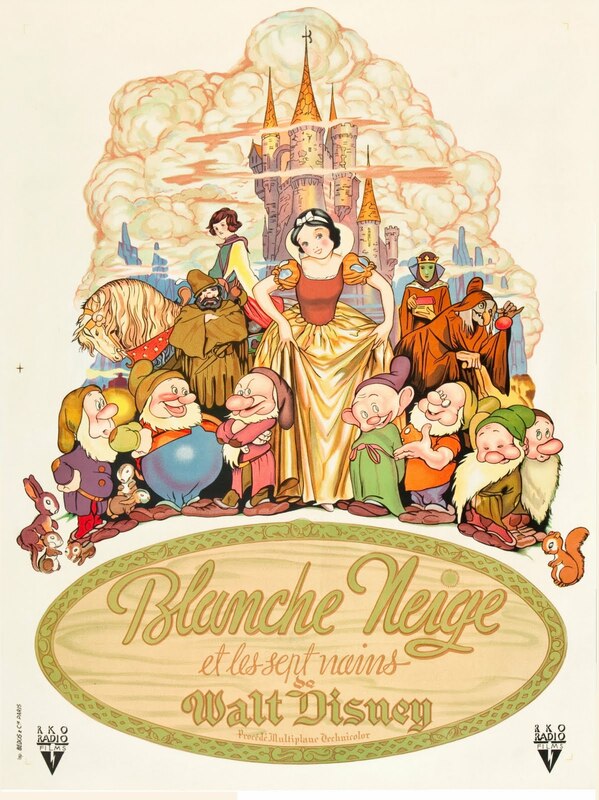 Design by Bernard Lancy. Printed by Bedos & Cie, Paris. The 1951 poster was issued with different lettering and the "Technicolor" tag was added in lower right corner. The artist's name appears below Doc. 1938. RKO. 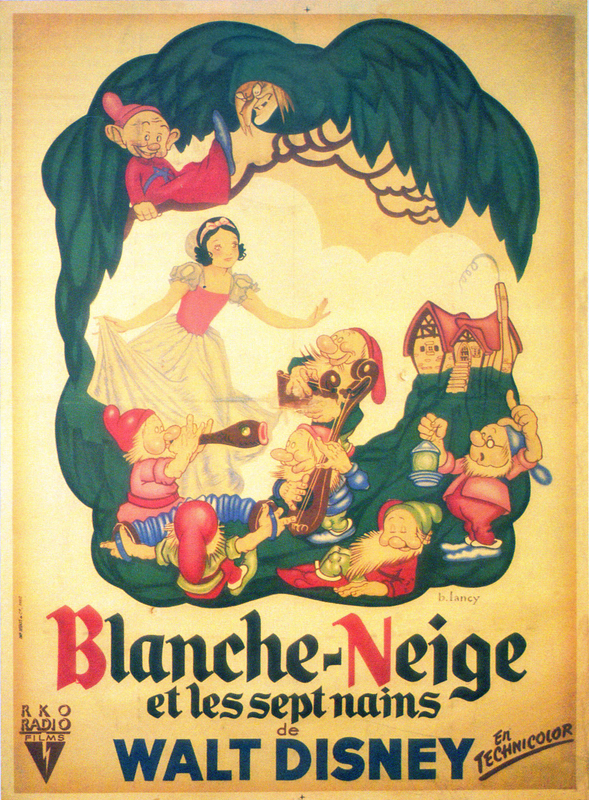 Theatre Banner, 60 x 240 cm / 23" x 94". 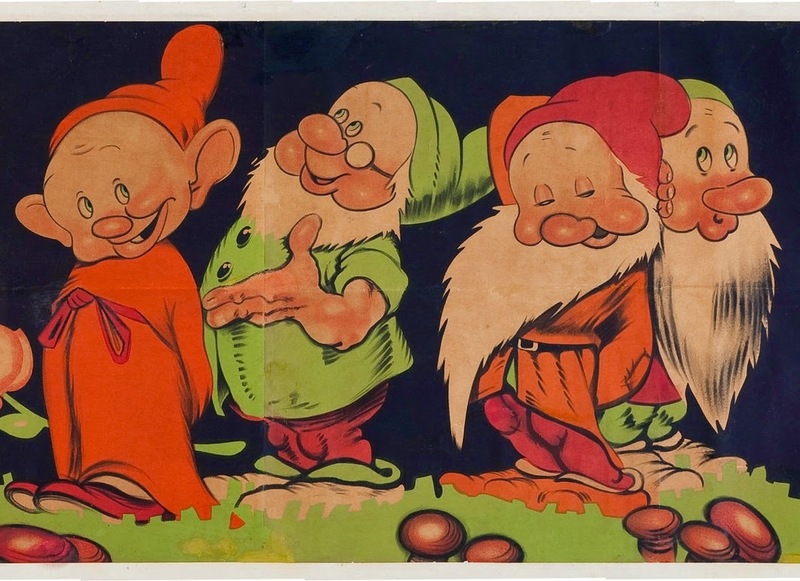 Artwork by Gustaf Tenggren. Printed by Bedos & Cie, Paris. Sold by Heritage Auctions on February 23, 2012 for $4481.25. 1938. RKO. Four-panel, 238.5 x 309cm / 94" x 121". Printed by Bauduin, Paris. 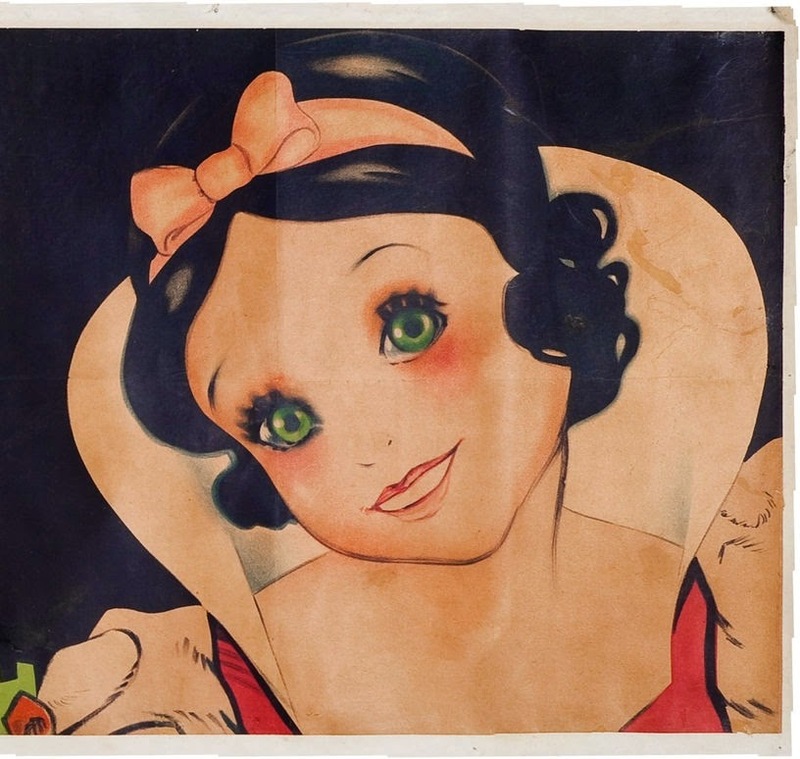 Sold by Christie's on June 15, 2011 for £7,750 ($12,671). R-1962. Athos. Folded Grande style, 120 x 160 cm / 47" X 63". Design by Jacques Fourastié. Printed by Affiches Gaillard, Paris. 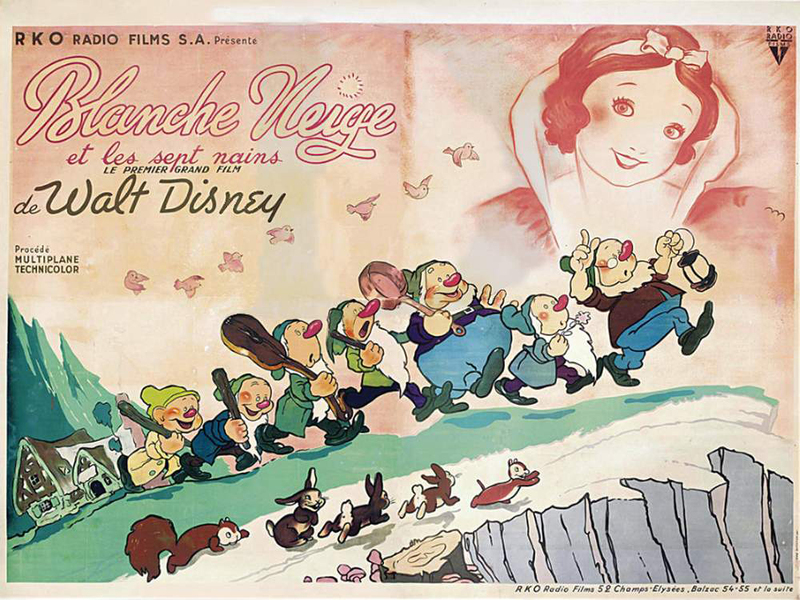 The text reads: "The admirable masterpiece by Walt Disney. 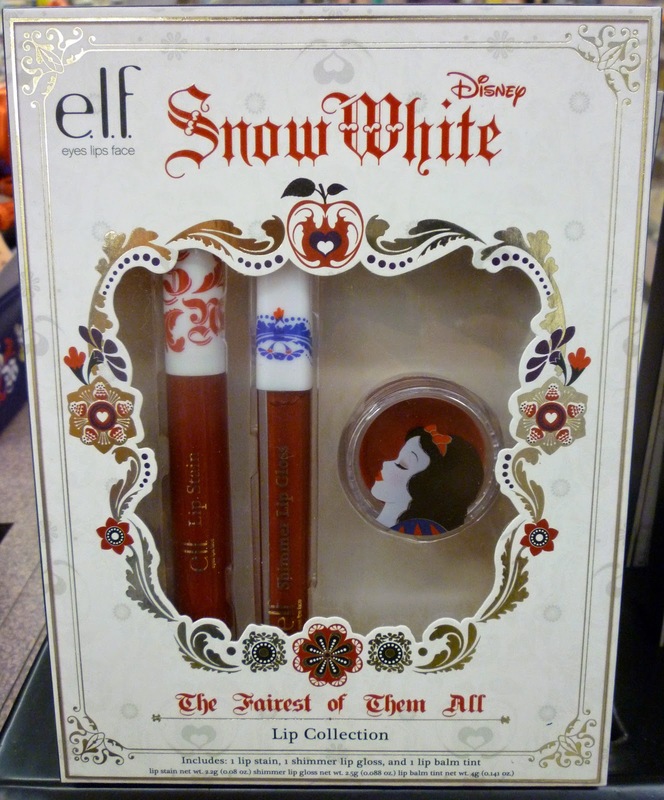 Snow White comes back for us younger than ever!" R-1962. Athos. Folded Two-panel style, 160 x 240 cm. 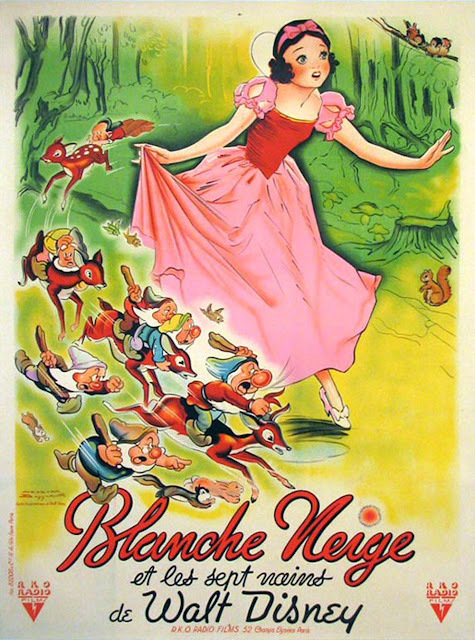 Illustrated by Jacques Fourastié. 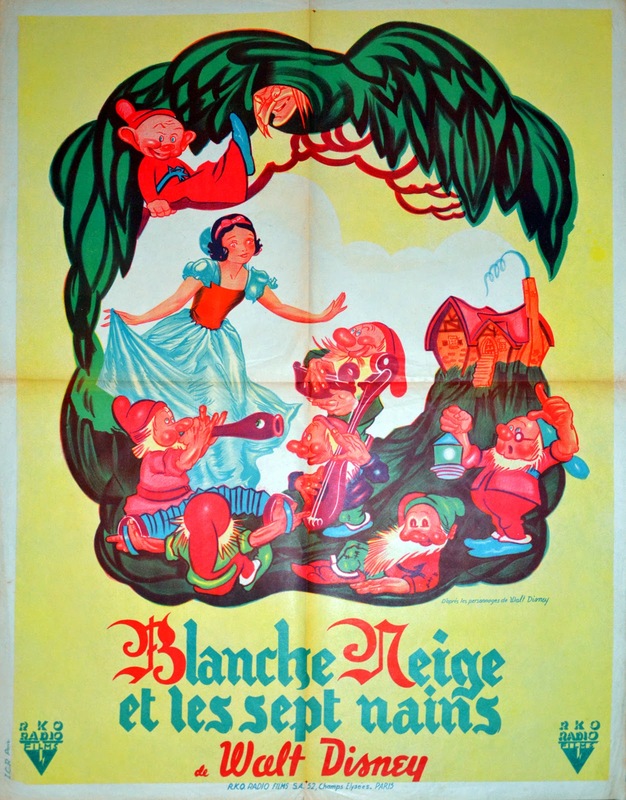 Printed by Affiches Gaillard, Paris. It may also have come as a four-panel, 238.5 x 309 cm. Here's the cover of the pressbook which uses much of the same design. 1973. W.D.P. Folded Petite style, 40 x 60 cm / 15.7" x 23.6". Also Grande style, 120 x 160 cm. 1983. W.D.P. Folded Petite style, 40 x 60 cm. Also Grande style, 120 x 160 cm. 1983. W.D.P. 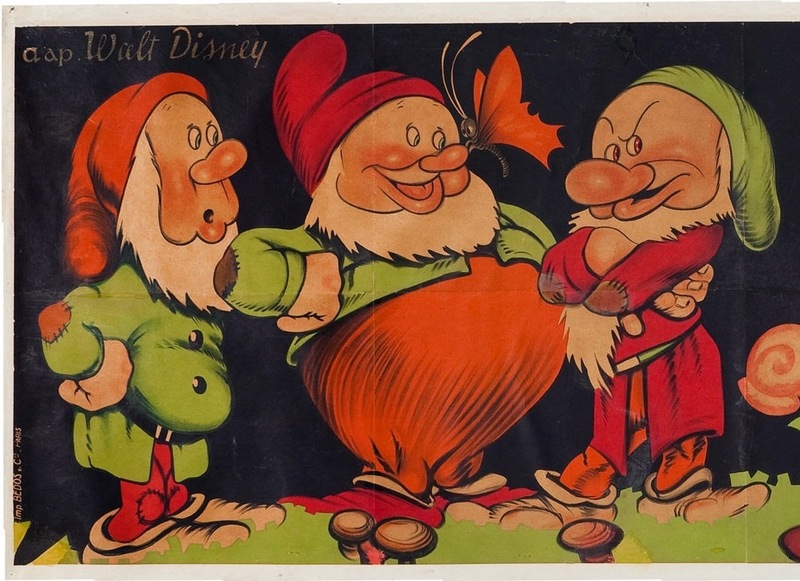 Pantalon style (often referred to as door poster or French insert), 60 x 160 cm / 23.6" x 63". R-1992. Warner Bros. Folded Petite style, 40 x 60 cm. Also Grande style, 120 x 160 cm. The pink dress. Special thanks to Greg Philip of A Lost Film for sharing his valuable research and for providing many of these poster images. 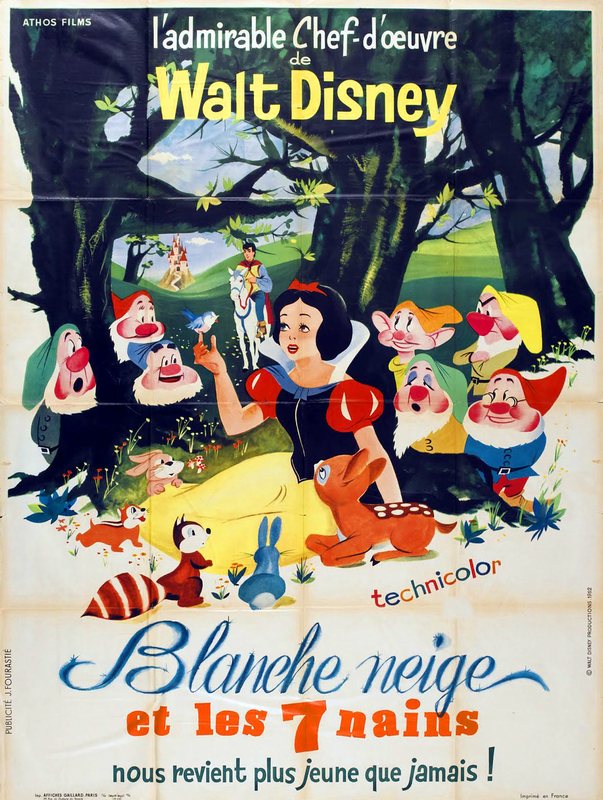 Lucie Dolène played the voice of Snow White in the 1962 French redub of Disney's Blanche Neige et les Sept Nains. 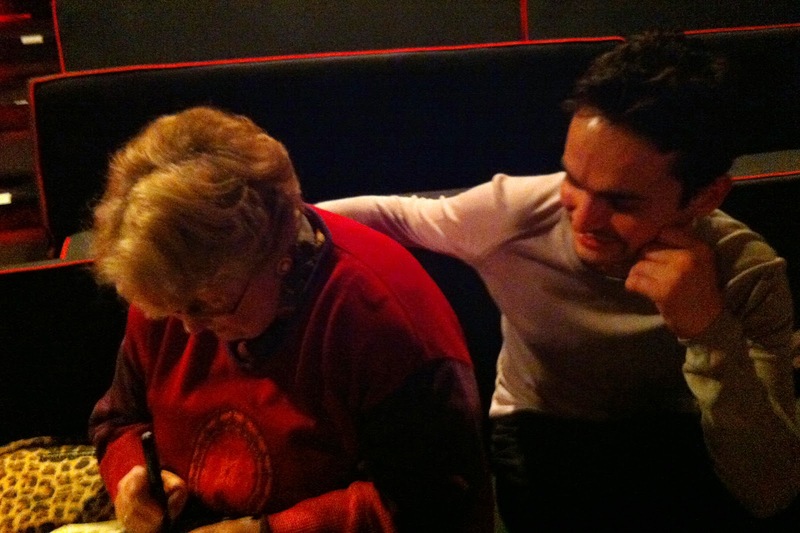 Last year, researcher Greg Philip had the good fortune to meet her. 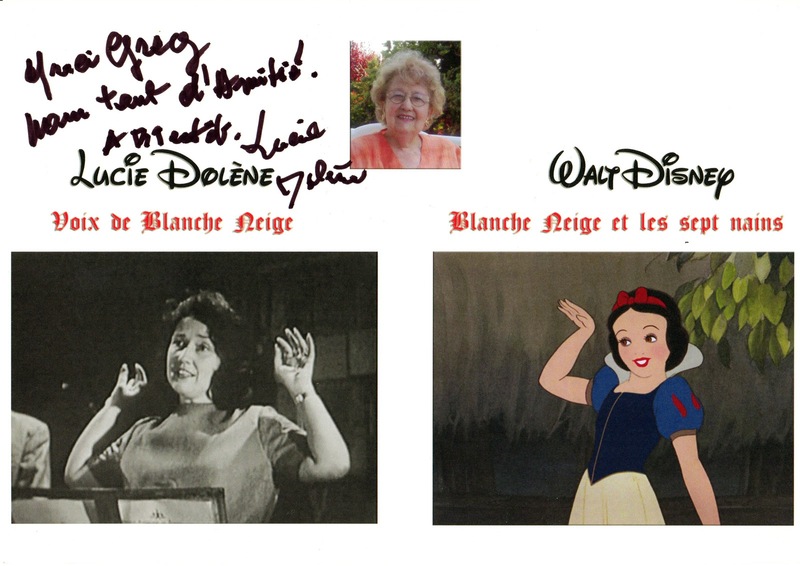 Lucie was kind enough to autograph this 8x10 which shows an image of her today and also from the 1962 recording studio in Paris where she voiced the role. 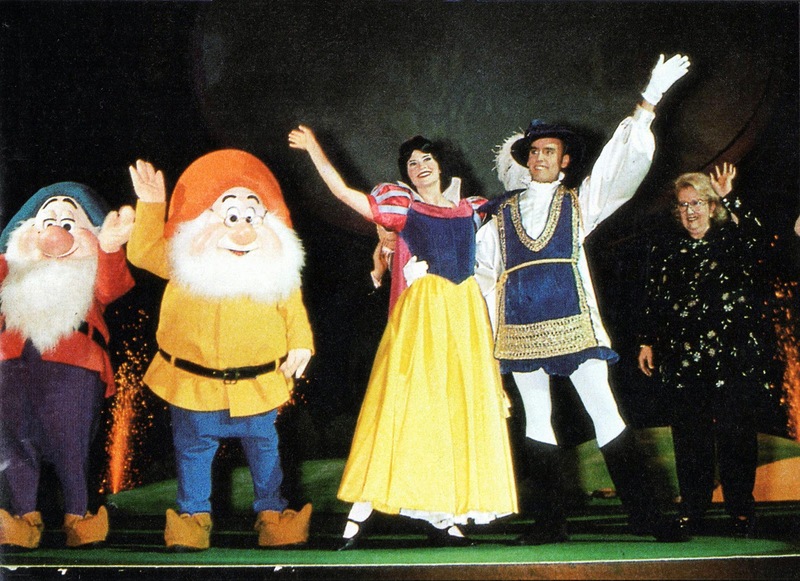 In another photo, Lucie is seen onstage with the Snow White characters, probably at the Euro Disney Resort. 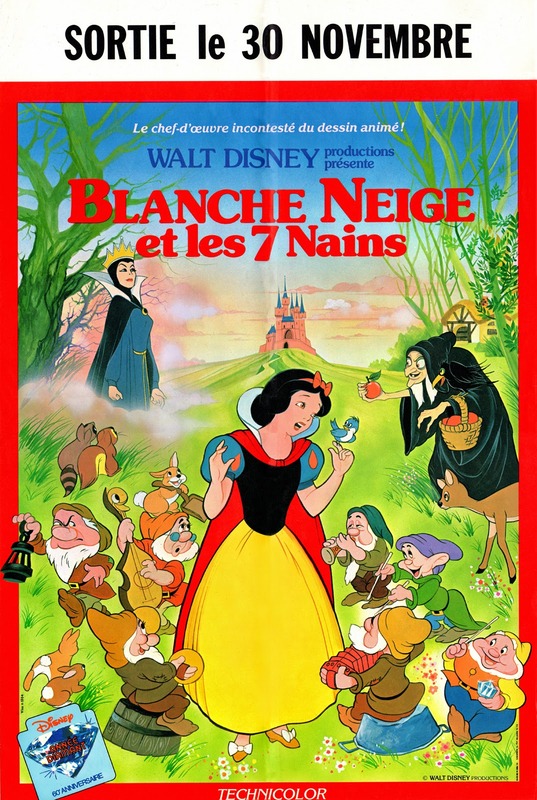 The image comes from a TV and video magazine which dates from 1994, the year that the movie was first issued to home video on VHS and LaserDisc. Images and info courtesy of the Greg Philip Collection via A Lost Film. 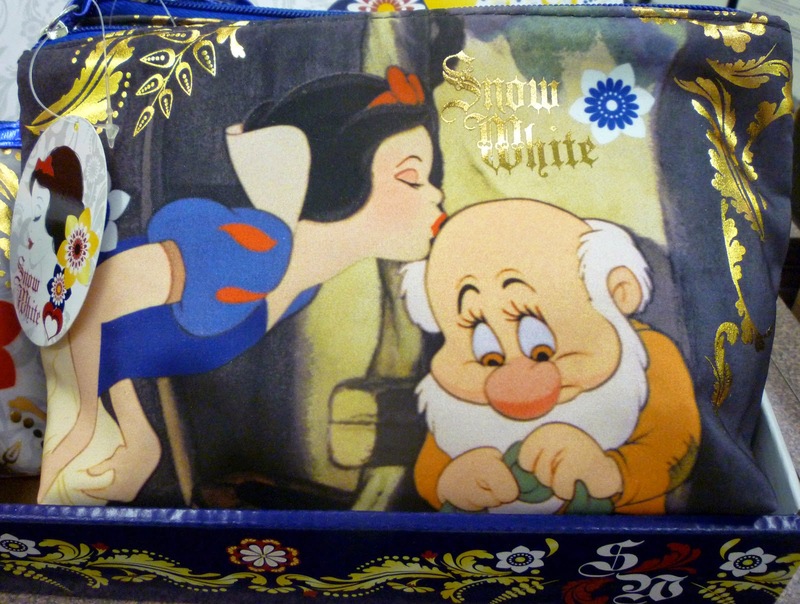 Snow White "Sculpted Anniversary Clock"